Wow your audiences with this high quality Cubio magic trick made from brass. 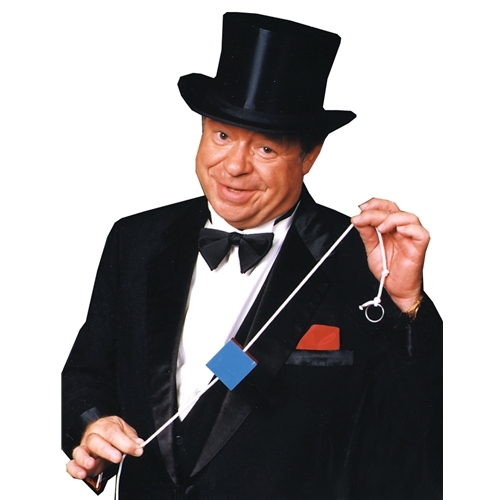 The trick works like this: The magician displays a brass cube, which has been threaded on a length of string. The cube slides back and forth on the string freely. But at the magician's command, the cube stops sliding. Then, with another word from the performer, the cube begins sliding along the string again. The cube is under the control of the magician at all times, yet can be minutely examined by a spectator at any time. Includes brass Cubio cube, magic rope, and easy to follow instructions.